Formed in 2007 by the gifted Norwegian trumpeter, Tine Thing Helseth, tenThing is an exciting collaboration between musical friends. 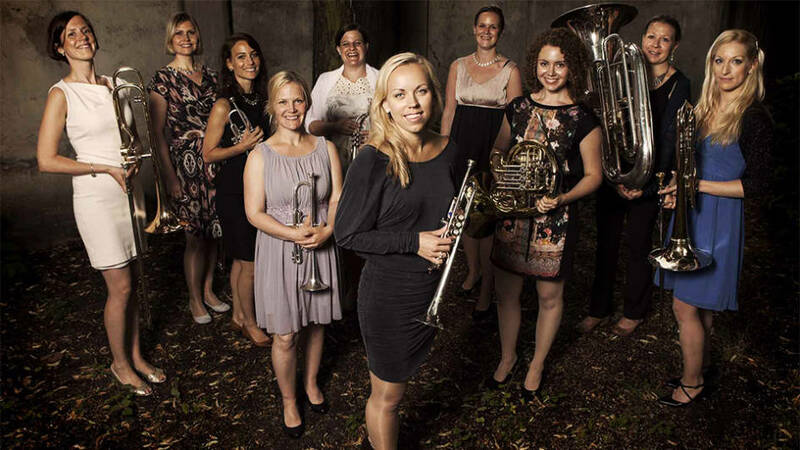 The ten-piece all-female brass ensemble is now firmly established on the international scene, having appeared at the BBC Proms and Carnegie Hall to great critical acclaim. tenThing has a diverse repertoire encompassing all kinds of classical music in witty arrangements made by guitarist, Jarle Storløkken. This concert mixes repertoire by Norwegian composers, Grieg and Sæverud, with popular works ranging from Vivaldi to Piazzolla.